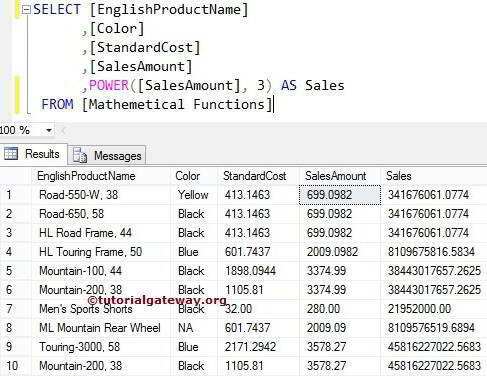 The SQL POWER Function is one of the Mathematical Function which used to calculate the power for the specified expression or numerical value. 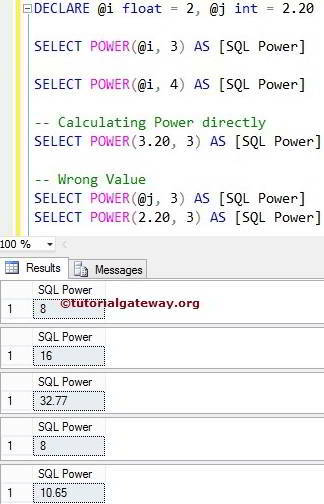 The POWER Function in SQL is used to calculate the power of a given numeric value. The following query will show multiple ways to use POWER function. In the below statement, We used POWER function to calculate the power of the variable @i. We also assigned new name to that result as ‘SQL Power’ using SQL ALIAS Column. In the next statement, We used the integer value as input for the POWER function. NOTE: Please use float variables as a input for POWER Function otherwise, you may expect strange results. 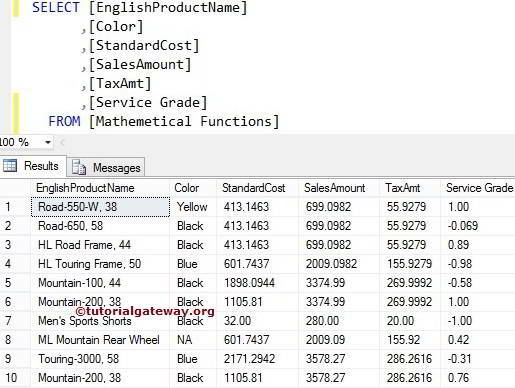 The Sql Server Power Function also allows you to calculate the power of column values. In this example, We are going to calculate the power of three for all the records present in [Sales Amount] using POWER Function.